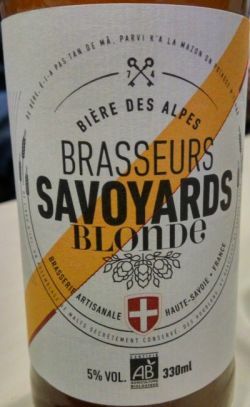 A la fois douce et subtile, la BS Blonde offre un reflet d’or, un goût équilibré de malts et de houblons, sous une couronne de mousse fine et crémeuse. La recette ancestrale d’une bière de qualité. UPDATED: DEC 12, 2018 Bottle thanks to Lukaku. Some malt in the aroma but pretty neutral. Cloudy yellow color with minimal sized white head. Sweet malty taste. Smooth and silky, soft carbonation. Bottled. Clear golden, rich coarse head. Grainy grassy nose. Mid dry with medium body and and clean mouthfeel. Grainy and grassy, fruity and spicy. Mid bitter finish. Aroma 6. Appearance 3. Taste 3. Palate 2. Overall 8. Grain aroma. Taste is not very strong, mainly grain and malt. Palate a bit bitter, very short. Bottle from Mam and Dad's holiday, France. Drank in celebration of the Tour de France, Grand Depart. Golden coloured with a thin white head. It has a toffee, malty and slight soapy flavour with a fruity and gentle grassy finish. Ok. Bottle, Ann Arbor, MI via Le Chable. Pale hazy yellow. Yeast and citrus aroma. Sharp citrus flavour. Mellow bready finish. UPDATED: NOV 12, 2017 Bue en Suisse avec Pills, Jacky et Roger. Blonde mousse qui tombe rapidement. Carbo moyenne. Arôme de citron et de fruits jaunes. En bouche, très douce au départ avec légère amertume. Houblonnée sur l'herbe coupée très agréable. Cremeuse en bouche. Bière très originale !!! Légère, douce et fruitée avec un côté herbacé. Fles gekocht in Frankrijk, thuis geprobeerd met LiekevdV. Het is een goudgeel bier met een volle schuimkraag. Het heeft een wat frisse smaak. De smaak is snel weg. 75cl bottle. Almost clear golden with a small white head. Malty, honey, wheaty and caramel.